The EUROCOM Racer 3W is the newest addition to Eurocom’s complete line of Mobile Workstations ranging from 15.6” to 17.3” models equipped with 8 core, 16 thread Intel Xeon processors, NVIDIA Quadro K5100M graphics with 8 GB DDR5, 32 GB memory and up to 6 TB of storage. 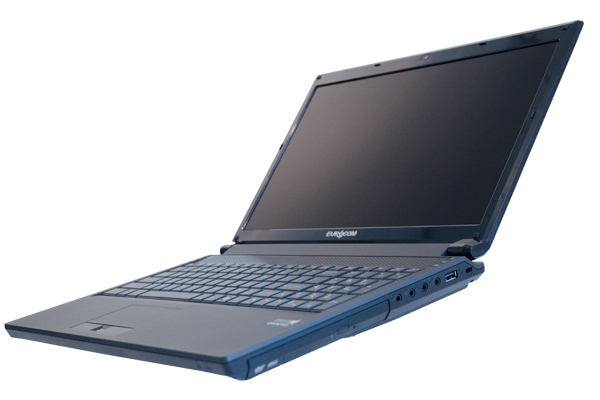 The EUROCOM Racer 3W is a high quality, custom built, fully configurable Mobile Workstation laptop designed for the most demanding professional users. “The EUROCOM Racer 3W is the best professional grade, entry level Mobile Workstation on the market, it has the best features, the most performance and quality and the right price” Mark Bialic, Eurocom President. The Racer 3W is designed for professionals who frequently travel and need capable hardware to fulfill their professional commitments. With a weight of 3 KG the EUROCOM Racer 3W is perfect for engineers, designers, students and professionals of all kinds that are required to travel to and from customer, or work, construction or office sites. With the hardware to ensure the job gets done, including NVIDIA Quadro K5100M graphics and Intel Core i7-4930MX processors and the four storage drive support to hold all of the important files in the optimal performance or redundancy with RAID 0,1,5,10 support. The EUROCOM Racer 3W supports a full line of NVIDIA Quadro graphics processors including K1000M, K2000M, K3000M, K31000M, K4100M and K5100M with 1536 CUDA cores. The long list of professional graphics options are offered to Eurocom customers so they can choose the exact performance and budget level they require. We understand that redundant, fast storage is extremely important to clients who carry around their professional data on their workstation, that is why the EUROCOM Racer 3W supports up to 4 drives, 2 being mSATA SSD’s with RAID 0,1,5,10 capability for the best in performance, capacity and redundancy. Based on the HM 87 Express chipset from Intel the EUROCOM Racer 3W can support a full range of 4th Generation Intel core i7 processors, up to 4930MX Extreme edition and up to 32 GB of DDR3-1600 memory from four SODIMM’s. With all of the performance and capability inside the Racer 3W, it is still extremely portable, weighing in at 3.3 kg and being only 1.8 inches thin. The EUROCOM Racer 3W has multiple choices of matte or glossy, 15.6” Full HD 16:9, 1920x1080 displays that can be professionally calibrated for true to life colours. Eurocom Mobile Workstations help companies innovate, become more efficient, productive and offer customers new services faster at lower costs. Eurocom Mobile Workstations allow users to travel to customers locations with highly capable mobile hardware to get the job done.